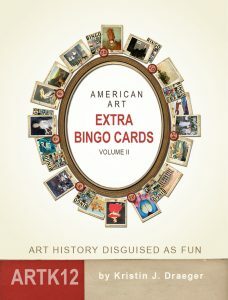 Extra American Art Bingo Cards are Here! 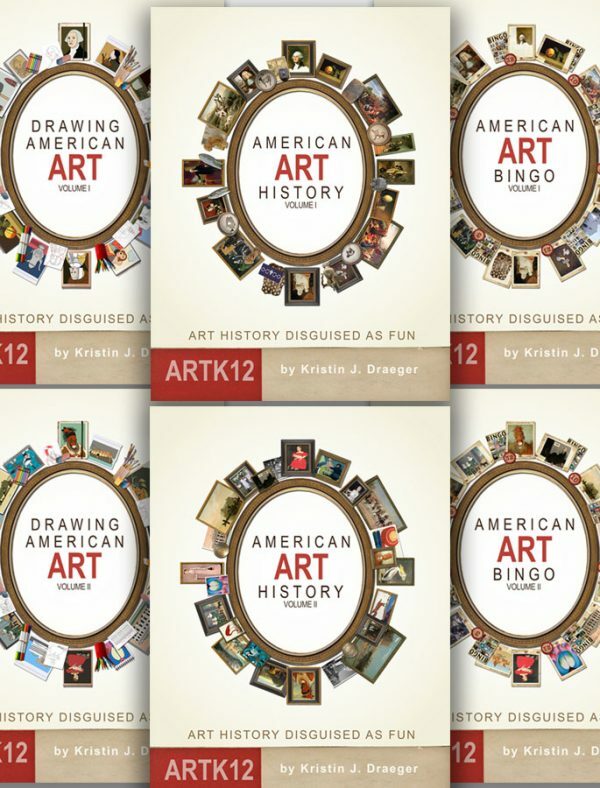 Previous to these two books being published if you wanted to play American Art Bingo with more than 10 students there really was not an option. 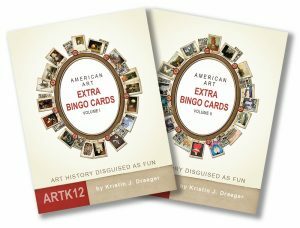 ARTK12 bingo books come with flash cards and 20 bingo cards with only 10 bingo cards usable at one time which is perfect for smaller groups and families, but not classrooms or larger groups. Kristin’s two new books: American Art Extra Bingo Cards Vol. 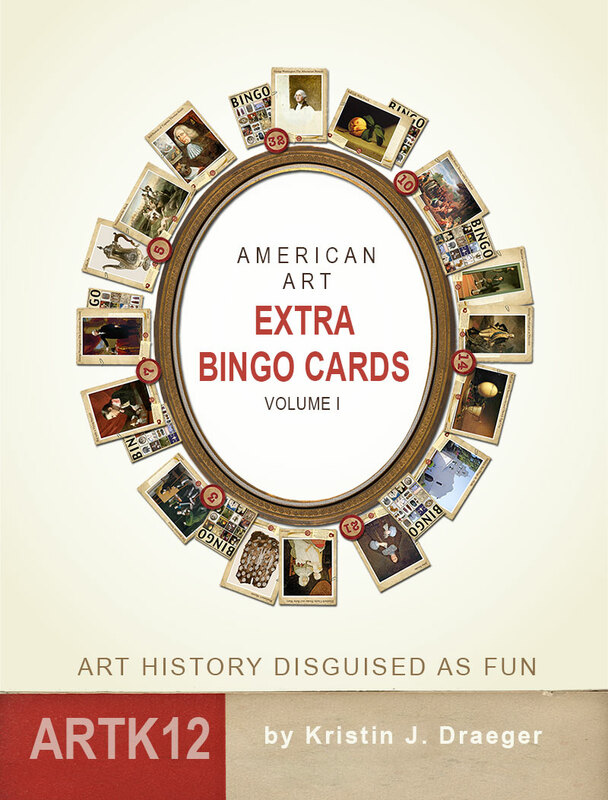 I and American Art Extra Bingo Cards Vol. 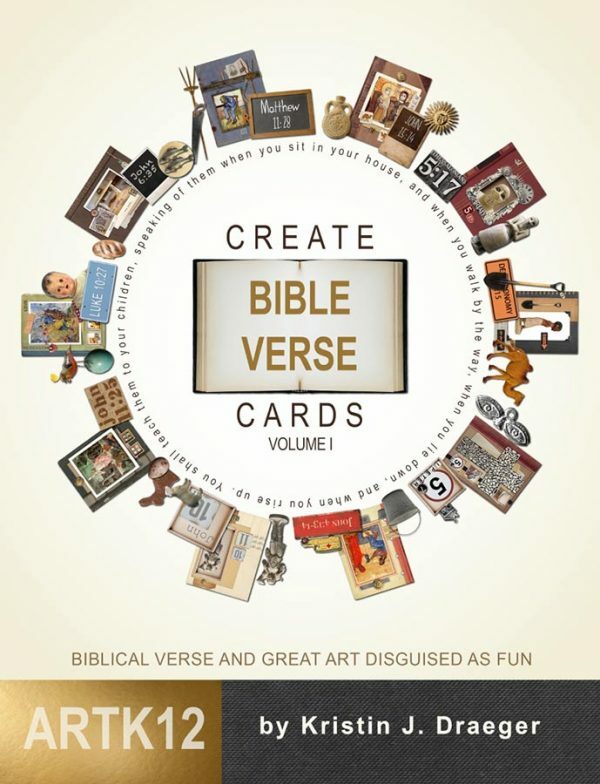 II come with 60 new bingo cards in each book (30 usable at one time). 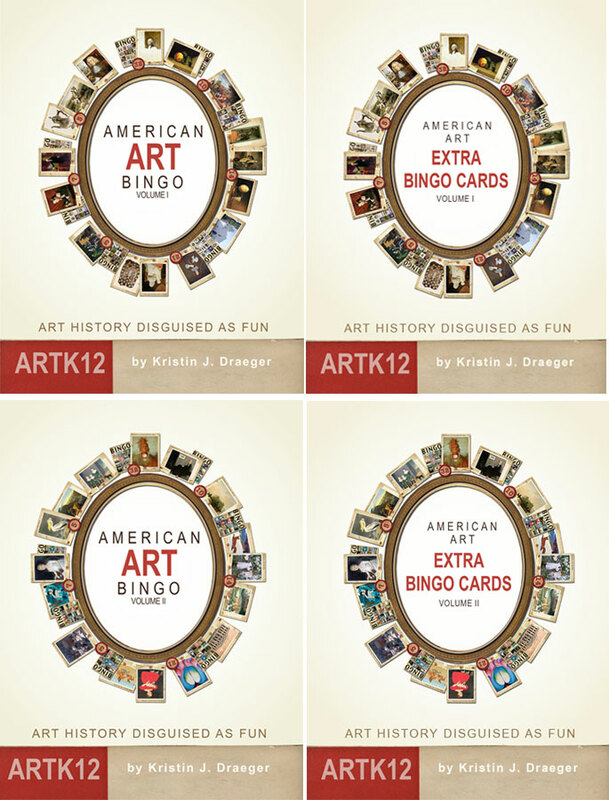 This allows the art bingo games to be played in classrooms with up to 40 students. 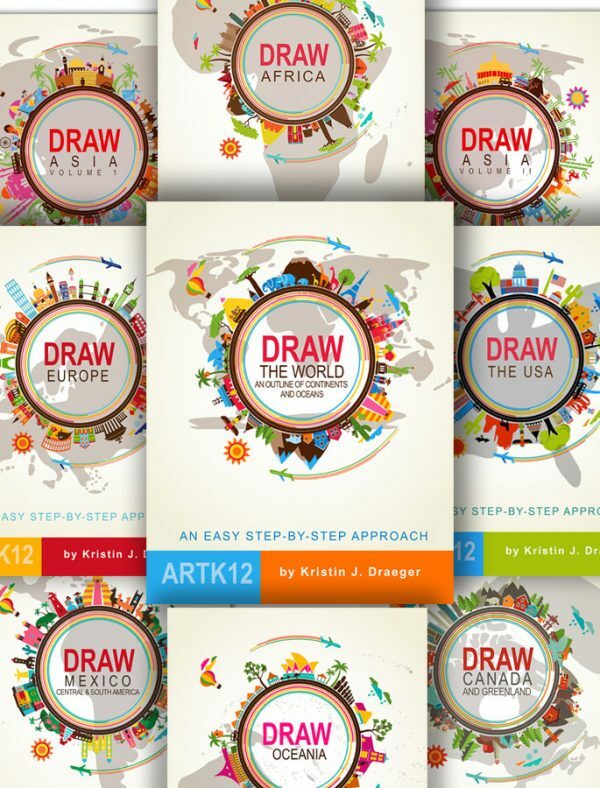 These books are currently selling on Amazon.com (for single copies) and multiple copies can be purchased on our website (5 minimum). 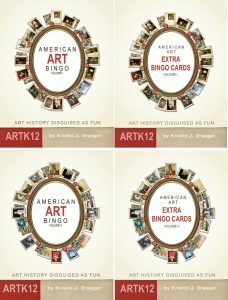 ARTK12 is also offering the American Art Bingo Classroom Bundle. 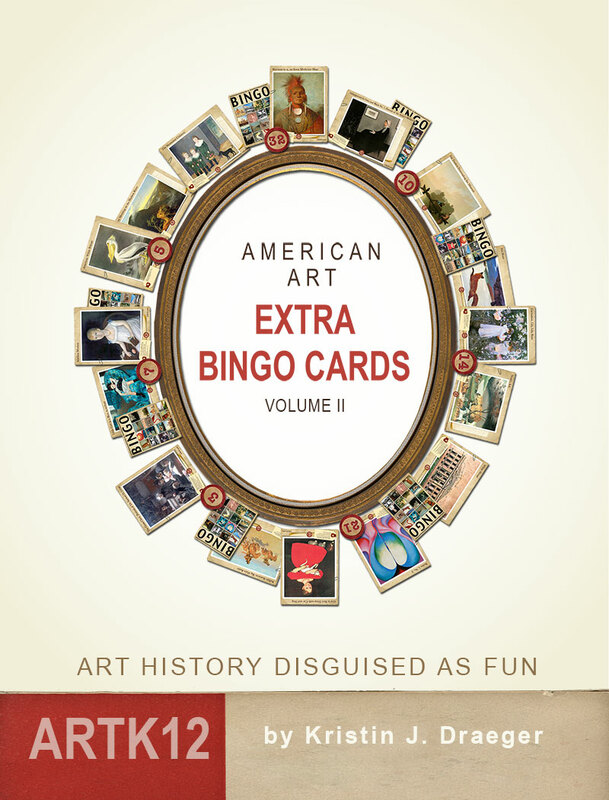 This includes all our American Art Bingo books (4 of them) for $59.49 and free shipping. This is two full art bingo games for use with up to 40 students. 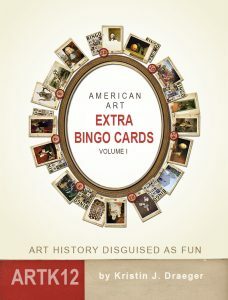 All the bingo books are disposable: you will need to take them apart in order to play the games.